Studies: He completed his graduation from Gochar MahaVidhalaya Rampur Maniharan, Distt Sharanpur, Uttar Pradesh under C.C.S. Universty in 1991 followed Law Degree (LL.B.) from D.A.V.College Lucknow, under Lucknow University. 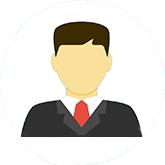 After completing his law studies he started practising as an attorney at Chandigarh. Special Interests: Criminal Cases and Transportation Law. 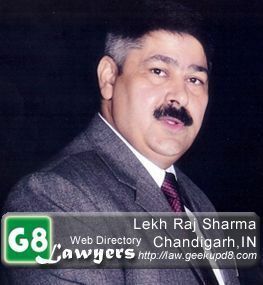 Achievements: He is the Chairman of the Bar Council of Punjab and Haryana in current year that is 2012. Besides that he is working as an Additional Advocate General, Punjab at Punjab and Haryana High Court, Chandigarh. Lawyers of Punjab, Haryana and Chandigarh are up in arms against the concept of ‘evening courts’. Speaking to Newsline, Chairman, Bar Council of Punjab and Haryana, Advocate Lekh Raj Sharma said, “There are practical difficulties in implementing the evening courts. After a long day of work, lawyers have to return to their offices in the evening to prepare for the next day’s cases. Asking the lawyers to spend time in evening courts is unreasonable. Neither will the lawyers be able to spend time, nor will they be able to deliver their best in such circumstances”. Law graduates can practise without clearing BCI exam‎ In a resolution dated August 16, the Bar Council of India (BCI) gave provisional nod to new recruits to practise without attaining the ‘Right To Practise’ certificate, as it had not been able to hold the exam since December 2011 due to practical difficulties. However, the BCI has asked the lawyers to sign an undertaking, stating that they would be appearing for the exam whenever it was held and would clear it. The decision came after Lekh Raj Sharma, chairman, Bar Council of Punjab and Haryana, took up the matter with the BCI. He had asked them to either conduct the exam at the earliest or give provisional permission to practise. Interested in reaching your clients on Web ? Want a page like this for yourself. Here's your chance to request for your own webpage.